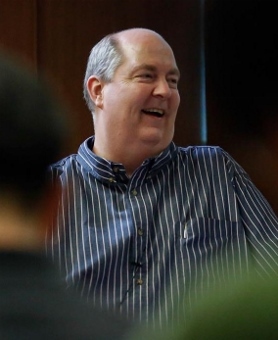 Kenneth J. Collins (Asbury Theological Seminary) and Jason E. Vickers (United Theological Seminary) have collaborated on a new edition of John Wesley’s sermons, entitled The Sermons of John Wesley: A Collection for the Christian Journey (Abingdon, 2013). Kenneth J. Collins and Jason E. Vickers, eds., The Sermons of John Wesley. The sermons are arranged in accordance with the order of salvation displayed in Wesley’s sermon, “The Scripture Way of Salvation” — from creation to the fall, through justification and every step along the way, culminating in the new creation. 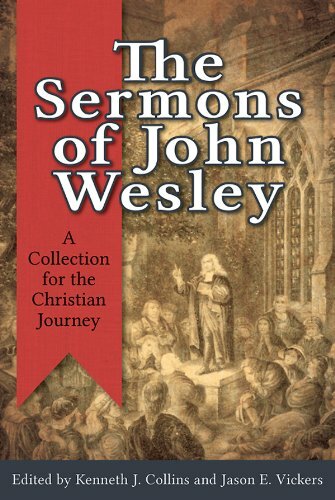 The Sermons of John Wesley includes the historic 44 sermons that John Wesley approved, plus eight additional sermons from the standard North American collection (52 sermons), as well as eight additional sermons. This will be an excellent addition to the library of anyone concerned with theological formation in the Wesleyan tradition.